Our goal is to connect people with the best local experts. 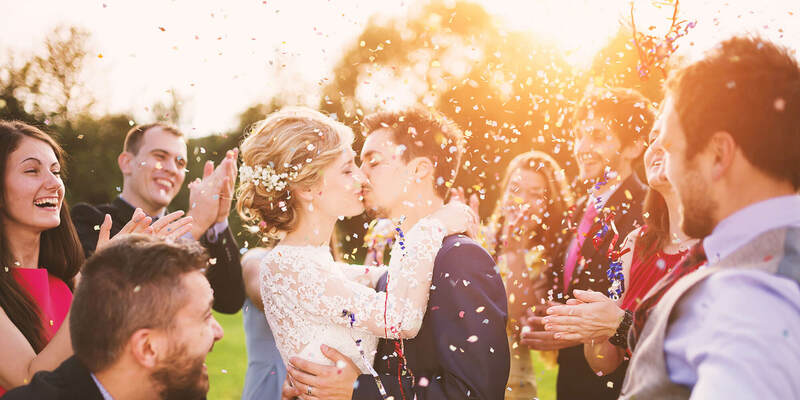 We scored wedding photographers on more than 25 variables across five categories, and analysed the results to give you a hand-picked list of the best wedding photographers in Denver, CO.
Greenwood Village's Allée Photography has photographed weddings for more than 10 years. The studio captures images for the Denver metro area in a variety of venues – indoor, outdoor, studio, and on-location. The studio also offers videography services. This versatile firm has done nature photography in Africa and been featured in Junebug Weddings and WeddingWire. An Enchanted Day Photography focuses on providing a romantic, fairytale slant to wedding and engagement images. The firm is based in Denver, CO. It was a 2015 pick of The Knot "Best of Weddings." Aventura Photo / Video is based in Centennial and specializes in photographing Denver weddings. The business provides romantic wedding images and videos. Their images showcase the entire event with a candid, romantic, and relaxed style. Beth Photography is a Boulder-based photography studio that captures memorable images of weddings, businesses, families, and individuals. The studio serves couples and businesses across the Denver metro and into Boulder. Denver Click and Pedal Photography provides more than photo sessions for your wedding. From an on-site photo booth to additional accessory products (like magnets, cards, calendars, and more), the studio gets the job done in the Denver metro area. Felix Studio's specialty is telling the story of weddings, fashion shoots, and families. The studio uses a photojournalistic style to capture eloquent images. The team usually works on-location. Although they are based in Denver, they willingly travel to accommodate client needs. Launched in 2005, this all-women Arvada photography firm specializes in weddings, baby pictures, glamor and boudoir sessions, and family portraits. Frances Photography serves the greater Denver area and builds lasting relationships with clients by providing creative, beautiful, and unique images. Heather Mason Photography has been capturing special moments from weddings and engagements for 10 years. Heather recently relocated to Loveland, CO, and specializes in romantic wedding photography and captures stunning images in a relaxed and fun manner. Heather only accepts 20 wedding commissions per year to ensure she can devote her full energy and attention to each event. Infinite Pixels By Angel Photography is a Lone Tree, Colorado photography studio that specializes in providing candid digital images for weddings, engagements, high school seniors, and other events. The studio works mostly in the Denver metro area and is also available for destination weddings. Irving Photography combines photojournalistic and magazine-layout styles with a romantic and whimsical approach to capture the best moments of your Denver wedding. Using both film and digital photography, the team delights customers by creating romantically classic photos for special events. Jason+Gina Wedding Photographers is a team of Denver wedding photographers that provides clients with maximum style and minimal stress. The team specializes in outdoor weddings and is versatile enough to accommodate a customer's individual needs. Since 2007, wedding and portrait photography have been the specialties of Kendall Pavan Photography. It is also possible to schedule photo sessions in New England through this Denver-based firm. The principal photographer is a member of Fearless Photographers and is the recipient of the 2015 Wedding Wire Couples' Choice Award. Located in Broomfield, Colorado, Liefde Photography serves the Denver metro area. The team takes photographs with a journalistic flair and an eye for storytelling. Weddings, engagements, commercial packages, events, special commissions, and portraits all receive the uniquely focused attention of the entire team. Lindsay J. C. Lack – Photojournalist photographs weddings in Denver and Kansas City and "everyplace in between." The studio provides a stress-free, relaxed, and fun approach to traditional events. Images capture individual personalities that viewers can enjoy for years to come. Matt + Jess bring more than ten years of experience in natural lighting and on-location photography for wedding, engagement, and editorial photo shoots. One of their main goals is to create a connection between photographers and clients before any photos are taken. Matthew Speck Photography provides photography services to the Denver metro area for weddings, engagements, and events that showcase the unique aspects of each couple or group. Communicating and establishing a personal connection before the event allows personalities to shine through on the special day. Rendition Studios is a Denver wedding photography studio that also focuses on child photography, living spaces, intimate images, and portraits. Photographers shoot both indoors and outdoors. The Denver metro area is their primary backdrop, but the team is also available to travel. The studio is a member of the Professional Photographers of America. Shea McGrath Photography specializes in outdoor Colorado mountain wedding photography. The images all show lighthearted, happy subjects. The firm specializes in weddings, engagements, high school seniors, newborn babies, and families. Experience in both Spain and Iowa allow the photographers to blend the foreign with the familiar in visually pleasing ways. Steve Lynds Photography is a Denver-based studio that offers wedding, engagement, portrait, commercial, and real estate photography. Photographers unobtrusively capture events in the most memorable style possible. Uniqueness and communication with clients are the main priorities of this photography company. Founded in 2008, THE PHOTOGENIC LAB specializes in non-traditional wedding and lifestyle photography in Denver. Their style is a combination of fine art and photojournalism. The studio commonly works with LGBTQ customers. Customers can book wedding photography services almost anywhere in the world, and there is no travel charge for local bookings. Established in 2008, Tyler Freear Photography is based in Castle Rock, Colorado, and serves both the Denver, CO and Las Vegas, NV areas. Indoor or outdoor, large or small, wedding photos look natural and unforced. The firm's work has been enthusiastically reviewed in The Knot and WeddingWire. Founded in 2001, West End Photography focuses on capturing real moments with an unobtrusive style. The studio is based in Boulder, CO. Photo shoots include weddings, engagements, edgy and traditional high school senior portraits, headshots, and commercial photography. West End is a member of Professional Photographers of America and the American Society of Media Photographers associations. Started in 2008, Zara Ashby Photography serves Denver, CO and destinations worldwide. They capture images in black-and-white and photograph with film and digital cameras. An international flair inspires every image, no matter where it is taken.